MCDLink, Inc can help you with your event whether it’s small or large. Michael Davis is a PMI Ceritified project manager (PMP – Project Management Professional). His skills will help guide you through the process for your project or event from invisioning to completion. 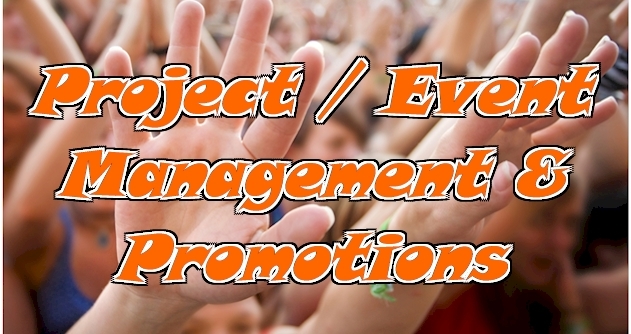 MCDLink, Inc can also help with the promotions for your event as well that can include promotional photography, flyers, graphics, event promtional website names, social media, t-shirts, hats, and much more. Promotional photos are offered through MCDLink, Inc. We have access to professional photographers to help with any of your professional needs. Just use our contact form and let us know what your requirements are. The recent growth of festivals and events as an industry around the world means that the management can no longer be ad hoc. Events and festivals, such as the Asian Games, have a large impact on their communities and, in some cases, the whole country.